3-1/4" 4-jaw chuck for use with H5940 4" rotary table. Features independently adjustable jaws. 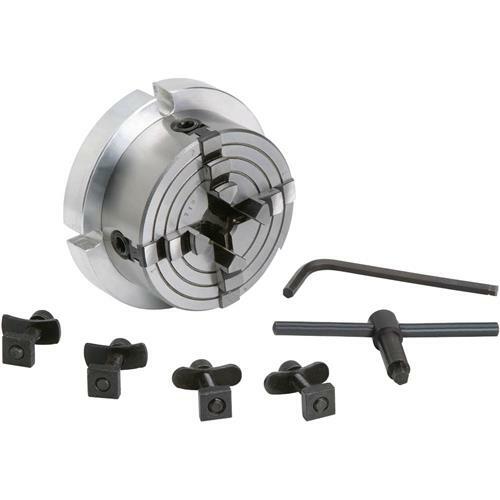 Includes T-slot mounting studs, hex wrench, and chuck wrench. I bought this for my DIY 4th axis for a CNC router. Very well made, true.